Vehicle-to-grid (V2G) technology could “smooth out” the intermittency issues of renewables within the next ten years, says Octopus Electric Vehicles CEO Fiona Howarth. With a new partnership between Octopus Energy, Octopus Electric Vehicles, Engenie and Marston’s, Octopus Electric Vehicles has expanded its EV portfolio. 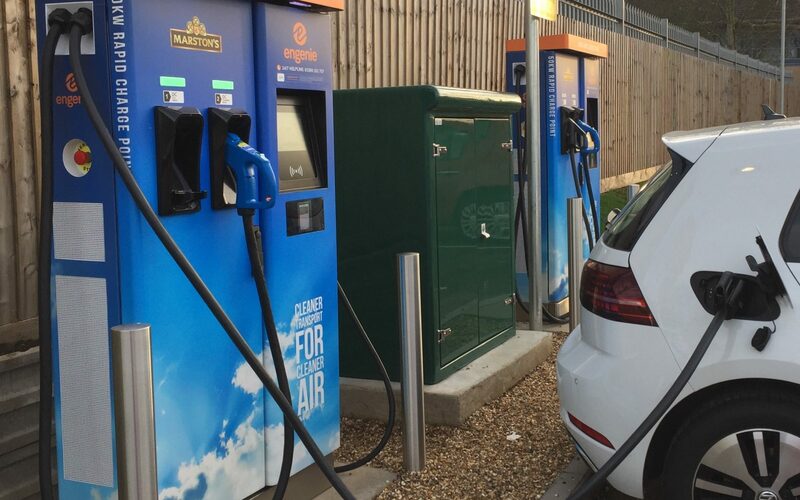 Eight charge points at Marston's pubs will be powered with renewable energy from Octopus Energy, with 400 charge points to be installed by the end of 2020. Last year, Octopus Electric Vehicles solidified its commitment to V2G technology through the launch of the Octopus 'Powerloop', a bundled service offering consumers a new Nissan Leaf with V2G charging capabilities, among other benefits, and is created by a consortium led by Octopus Energy. At the time of launch, Octopus Energy suggested that 38GW of flexible capacity could be added to the grid by 2030 through V2G. Now, Fiona Howarth, CEO of Octopus Electric Vehicles, says that within that same time frame V2G could be used to “smooth out all of the demand and supply and have a really smooth consumption profile” that matches intermittent renewable energy. In its Future Energy Scenarios published in July 2018, National Grid predicted that as many as 11 million EVs could be on the road by 2030 and 36 million by 2040. Howarth says that these numbers are an example of why both smart charging and V2G technologies are important to the transition to green energy. Howarth points to the fact that 11 million EVs all charging at the same time using 7kW chargers would create a demand profile of around 77GW, more than the UK's current peak energy demand. “If they all came home and plugged in at peak times and they didn’t have any smart charging, so they all just started charging at say 5pm in the afternoon, they would almost double the generation that we need. However, Howarth also points to V2G’s current limitations, with only certain vehicles supporting V2G. This is down to which charging standard the cars use. Howarth predicts that within the next year, the market will “open up” to more vehicles, with the two most common charging standards both supporting V2G.